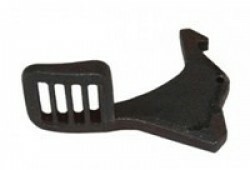 For use with the A-15/EM-16 and SR-25 series rifles. Replaces the charging handle latch, allows easy function of rifle with either hand. A must for the tactical or scoped flattop rifles.